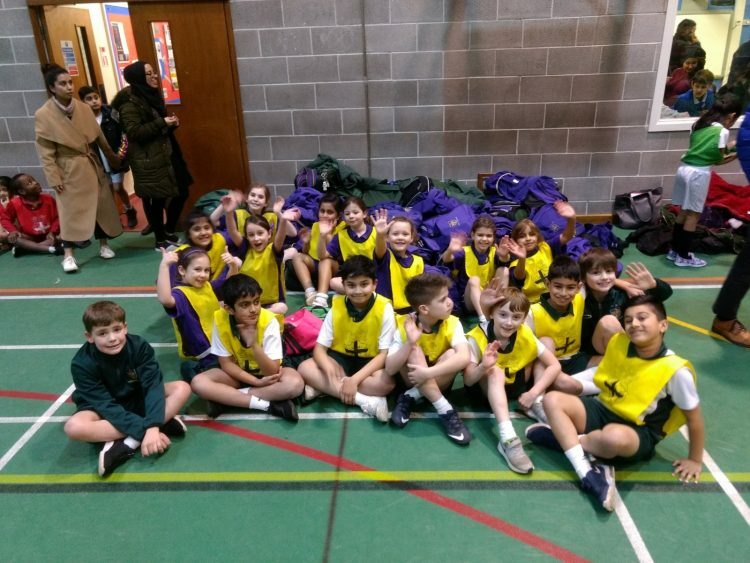 Our Year 3/4 boys and girls went to their first Sportshall competition, organised by the Blackburn Primary Schools’ Sports Association on Monday. There were a few nerves as for many it was their first time representing the school against others. Happily, the worries soon disappeared and the fun began. We are glad to report that everyone who took part tried their hardest and even though they might have made mistakes, they kept on giving their all. There were wins for the Boys 2 Lap Relay, the 1 Lap Hurdles and the boys 4×1 Lap Relay. The girls won the 1 Lap Relay and the 1 Lap Hurdles. Fantastic performance! However, it is not all about the winning. At this young age it is more important to learn to compete and, win or lose, to be gracious in defeat or victory. Happily, everyone who took part is well advanced on this road.